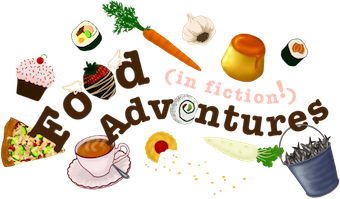 Book Adventures: LDS Authors GIVEAWAY Hop! Yay! Another giveaway hop! This time it's for books written by authors who happen to belong to The Church of Jesus Christ of Latter-day Saints, sometimes referred to as the LDS church. 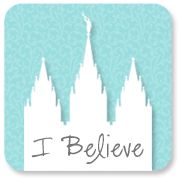 Now, some LDS authors write books that include characters who are LDS and/or with LDS themes, but this is not true for all LDS authors who simply write great stories without those elements. As you've probably noticed on my tab bar up top, I have a link to a few lists I've been compiling for about a year and a half of authors and illustrators for youth who also happen to be LDS. I have done this because I am a member of the LDS church as well as an aspiring author, and it just makes me happy to discover members of the church who have had success in the youth publishing world. Rob with an ARC of Feedback. 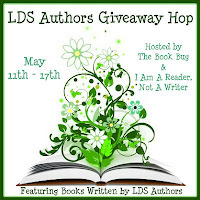 For my giveaway, I'm going the route of mainstream and nationally published (no religious/LDS themes or characters) by an author who happens to be LDS; Robison Wells and his debut novel Variant. 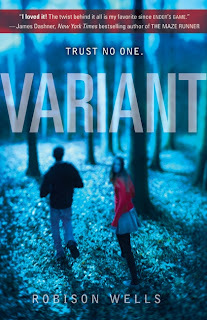 Variant was released fall 2011 to rave reviews which it totally deserves. 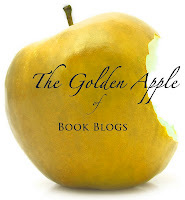 As I stated in a review that's included in the 2012 Book Blogger's Cookbook(! 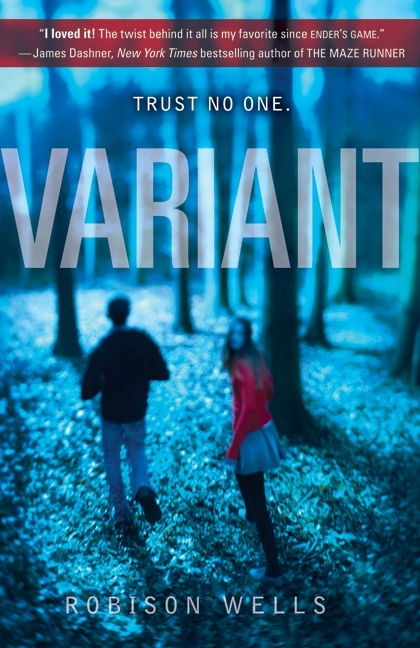 ), "Variant is an absolutely incredible thriller. Rob has created a unique, closed world, like a little dystopia, that will keep you guessing at who's who and what's what. The story lays its foundation carefully with interesting characters and dynamics, and then, like a roller coaster, reaches its peak and rushes down to a sucker punch of an ending." Variant is also the winner for the recent (this past weekend!) Whitney award for Youth Speculative Fiction. Go Rob! Congratulations! Feedback, book two in Rob's Variant series (shown above left), is due October 2012. For more information about Rob and Variant, please check out my past posts. For a chance to win this great book, please fill out the form below. For other stops on the hop, please click the hop image on the upper right of this post. * Rob and his brother Dan will be presenting at the Orem Public Library on June 12th @ 2pm!